Collective Blog: My choice or not? Agricultural practices and interventions affects nutrition of women, children and the entire household through various pathways and it is interesting to note that women empowerment, though much neglected, has a significant role to play when it comes to improving nutrition. To understand this link, I recently attended a webinar on “Women’s nutrition through an empowerment lens” organized by Leverhulme Centre for Integrative Research on Agriculture and Health (LCIRAH) and Innovative Methods and Metrics for Agriculture and Nutrition Actions (IMMANA). The webinar explored the impact of women empowerment on women’s and their children’s nutrition. It detailed the effects of women empowerment in livestock-focused-agriculture followed by an investigation of women empowerment in nutrition index. Although an extremely important buzzword in the development landscape today, it is interesting to note that there is no consensus on the exact definition of the term women empowerment. There do exist a few indicators however that may help us assess our progress but these indicators are not universal and differ across countries and cultures. There are various components of women empowerment, which includes human resources, such as natural resources and financial resources; agency, which encompasses decision making in actions along with attitudes; and viewpoints and achievements, which explores women’s own health and nutrition. The Demographic and Health Survey (DHS) also includes questions regarding women empowerment in its questionnaires to conduct a three factor analysis, with the three key factors being possession of assets by women, autonomy in decision making, and justification towards wife beating. Previously, there have been various studies which have explored the agricultural pathways to nutrition in different ways, with one popular approach being assessing how the agricultural produce affects food and income available at the household level. 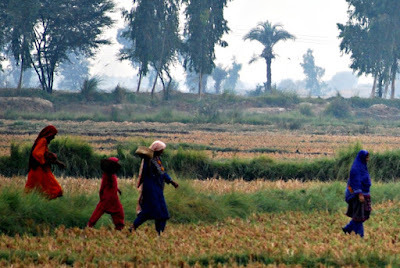 However without bringing the notion of women empowerment into the equation, this agricultural pathway could not be considered satisfactory unless women are empowered and actively engaged in decision making- only then can they make better choices regarding use of income for food, time use, and care for themselves and their energy expenditure. The benefit of studying livestock-focused-agriculture and value chains is that livestock provides a main source of asset control and household nutrition. Empowerment is important in this field because women are mostly disadvantaged and marginalized. It is important to study the factors affecting nutritional empowerment and the nutrition of women and children themselves and measures such as women empowerment in nutrition index (WENI) help us do so. WENI is a new metric being developed which aims to enhance our understanding of the drivers of nutritional outcomes. The indicator mainly takes into account the capacity for a woman, along with her children, to be fed properly. Not only that, women must also have significant authority as far as practices related to household nutrition are concerned and should receive ample support in implementing these practices. This pathway of improving nutrition through women empowerment is especially noteworthy as far as Pakistan is concerned as evidence suggests that the livestock sub-sector has emerged as a major driver of agricultural growth. Since women carry out a major part of agricultural activities in Pakistan- in fact LANSA research shows that certain activities especially cotton picking and livestock rearing are considered 'women-only work'- women empowerment in agricultural-based work is likely to have significant impact on women’s and children’s health. However, the policy linkages between agriculture and nutrition are currently weak and need further study. While researchers and policy makers further explore this pathway, it will be important to study the aspect of women empowerment to conduct a more comprehensive analysis. After all, if women cannot choose when to rest, what to eat and what to do with their income, then certainly their health and the health of their child cannot be improved effectively.